A year after the initial operational phase, TanDEM-X has mapped all land surfaces on earth except Antarctica completely. Elevation models have been generated with the data. According to the color scale, green tinted areas already comply with a the requirement of a two-metre accuracy. Yellow-coloured areas must be recorded a second time, reddish surfaces also require recording from a different angle. Gray-shaded strips have been recorded, but have yet to be processed. As part of the TanDEM-X mission, the strips of terrain recorded by the two satellites are processed into elevation models measuring 50 by 30 kilometres, which are then combined into a global digital elevation model. 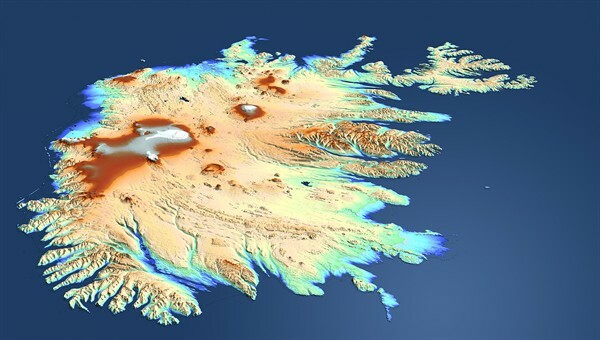 This first mosaic shows Iceland, which, because of its location north of 60 degrees latitude, could not be covered by the Shuttle Radar Topography Mission (SRTM) in 2000 and was surveyed from space for the first time by TanDEM-X. 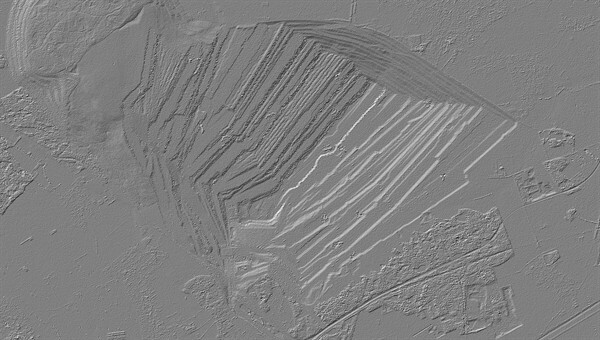 Comparing the Shuttle Radar Topography Mission (SRTM) elevation model from 2000 and the data acquired by TanDEM-X over the opencast lignite mine at Hambach, near the German town of Jülich, the improved accuracy is impressively demonstrated. In addition, the changes over the past 10 years can be seen – the mining activity has progressed considerably. After a year in service, the German Earth observation satellite TanDEM-X, together with its twin satellite, TerraSAR-X, have completely mapped the entire land surface of Earth for the first time. The data is being used to create the world's first single-source, high-precision, 3D digital elevation model of Earth. The German Aerospace Center (Deutsches Zentrum für Luft- und Raumfahrt; DLR) controls both radar satellites, generates the elevation model and is responsible for the scientific use of TanDEM-X data. It is reminiscent of ballet on ice; throughout the last year, Germany's radar satellites, TanDEM-X and TerraSAR-X, have been moving through space in close formation, at times just a few hundred metres apart. Strip by strip, they have recorded Earth from different angles and transmitted high-resolution radar data from their orbit at an altitude of 514 kilometres down to the three ground stations – Kiruna (Sweden), Inuvik (Canada) and O'Higgins (Antarctica). "The mission is running better than expected and there have been no unscheduled interruptions in the programmed formation flight of the two satellites. All safety mechanisms are functioning robustly and in a stable manner," enthuses Manfred Zink, project manager for the TanDEM-X ground segment at DLR. Over the course of 2011, the distance between the satellites was progressively reduced down to the minimum permitted value of 150 metres. This satellite mission is the first of its kind; it remains unique and is highly complex, even for experienced engineers. "Following the launch of TanDEM-X on 21 June 2010, there was a six-month test phase, during which we subjected the satellite and its behaviour in near-Earth orbit to intense scrutiny and carried out our calibration work," Zink recalls. During this time, TanDEM-X commenced formation flying with its identical partner satellite, TerraSAR-X, which was launched in 2007. On 14 December 2010, the operational part of its mission began, collecting data for the high-precision elevation model. The radar system views the ground from two different points in space, achieving 'depth perception' in a manner similar to binocular vision in humans. "The generation of accurate elevation data calls for precise coordination of data from and between both satellites," explains Gerhard Krieger, systems engineer for the TanDEM-X mission. Differences, for example in the cable lengths on the two radar instruments, as well as the distance between the two satellites, need to be calibrated very precisely. "This is a truly enormous challenge when you consider that a millimetre of variation can cause up to one metre of elevation error," says Krieger. 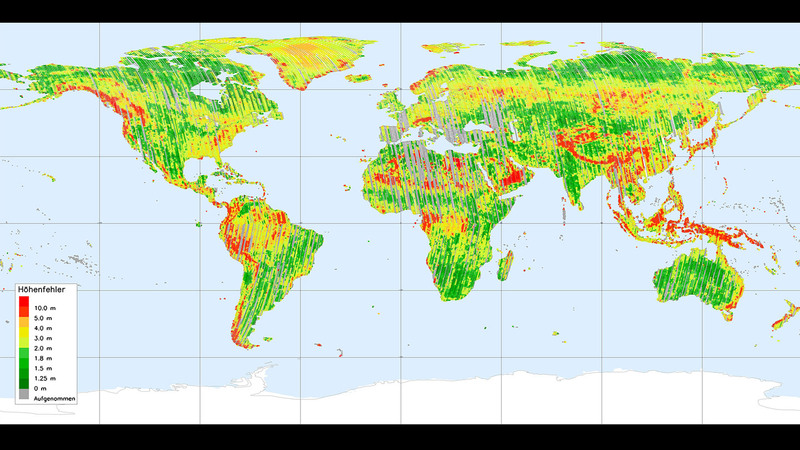 The strips of terrain recorded by the satellites are processed into elevation models measuring 50 by 30 kilometres. Due to the ultra-precise calibration, when this 'basic data' is compiled at the end of the process to generate a global 3D map, it is already of very high quality. By mid-2013, TanDEM-X and TerraSAR-X will have imaged the complete land surface area of Earth – roughly 150 million square kilometres – several times. The intention is to create an exceptionally accurate, global and homogeneous 3D elevation model that promises to be of equal interest for commercial and scientific purposes. Initially, at least two complete coverage cycles of Earth's land surface were planned. Some parts, one example being the vast majority of Australia's landmass, were recorded by the satellite duo with sufficient quality during the first overflight. "The level of precision depends on how well the ground reflects the radar pulses transmitted – and subsequently received – by the satellites," states Manfred Zink. 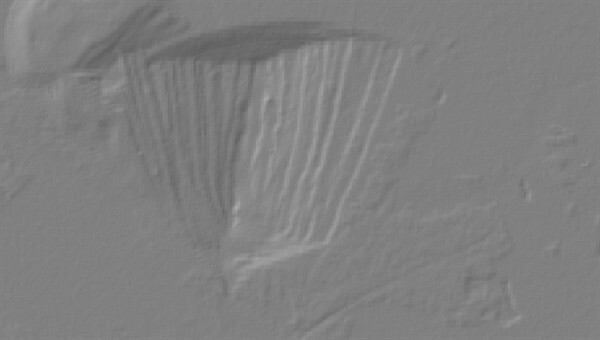 For example, the Sahara is more difficult to image because the signal literally 'sinks into the sand' and is lost. For regions of dense vegetation, such as rain forests, additional imagery and careful adjustment of the distance between the satellites are necessary. "We are going to be left with a few blank areas on the map, but we do of course seek to minimise these gaps," states Zink as he thinks about the coming months. "We want to gain a better understanding of Earth as a system and to employ the data for climate and traffic research, for example," says Irena Hajnsek, scientific coordinator for the TanDEM-X mission. In 2011, she gave the 'green light' for 166 of the research applications submitted to DLR. "Most of these originated in the USA and Germany. The TanDEM-X capabilities are to be used to address questions of land usage and vegetation, hydrology, geology and glaciology," explains Hajnsek. The two Earth observation satellites can also generate information about the height of the snowline or the change in ice masses of the two polar regions, as well as provide geological maps of regions subject to volcanic and/or earthquake activity. The speed of ships or road vehicles can be measured, as can changes in the natural world. The work performed by these two radar satellites is also valuable for agriculture. "Based on the height and structure of a plant – such as rapeseed, for example – it is possible to draw conclusions about its quality and biomass," states Hajnsek. TanDEM-X is operated by the German Aerospace Center (DLR) with funds from the German Ministry of Economics and Technology in the form of a public-private partnership with Astrium GmbH. DLR is responsible for the scientific use of TanDEM-X data, planning and implementiation of the mission as well as controlling the two satellites and generating the digital elevation model. Astrium built the satellite and shares the costs for the development and use. Commercial marketing of TanDEM-X data is managed by Astrium Services’ GEO-Information Division (formerly Infoterra GmbH), a subsidiary of Astrium.